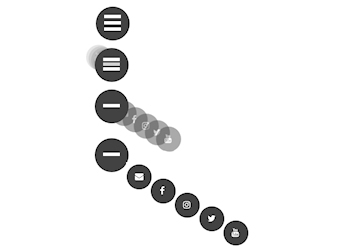 The Gooey Menu displays an animated popup menu with round icons triggered from a hamburger button. Both the icons and the hamburger icon can be animated. You can configure the angle of the menu and radius of the menu items. The menu has many customization options and supports some cool CSS3 animations like slide, fade, rotate, scale and roll-in.